The Dolpo region may not be known for the highest peaks of the Himalaya, like Everest and Annapurna, but this long-isolated, culturally Tibetan region of Nepal is starting to attract the attention of both domestic and overseas trekkers. With improvements being made at Juphal airfield near Dunai, the region is likely to see a growth in the number of visitors. Dolpo is already known for the modern-day gold rush of the medicinal curiosity yarsagumba, but for sustainability it will be the curious, adventurous and enthusiastic trekkers who will soon be the next gold rush. The hidden secrets of Dolpo will shine brightly – those gems, like the colourful people, fabulous landscapes, mysterious canyons, cliff-clinging monasteries and crystal-clear streams. Mountains like Kanjiroba shimmer on the skyline, their glaciers and tumbling ice fields catching the eye, mesmerising and uplifting the spirit. Once part of the Ngari realm of Tibet, Dolpo avoided the turbulent history of its closest neighbours; however, its cultural heritage is centuries old. 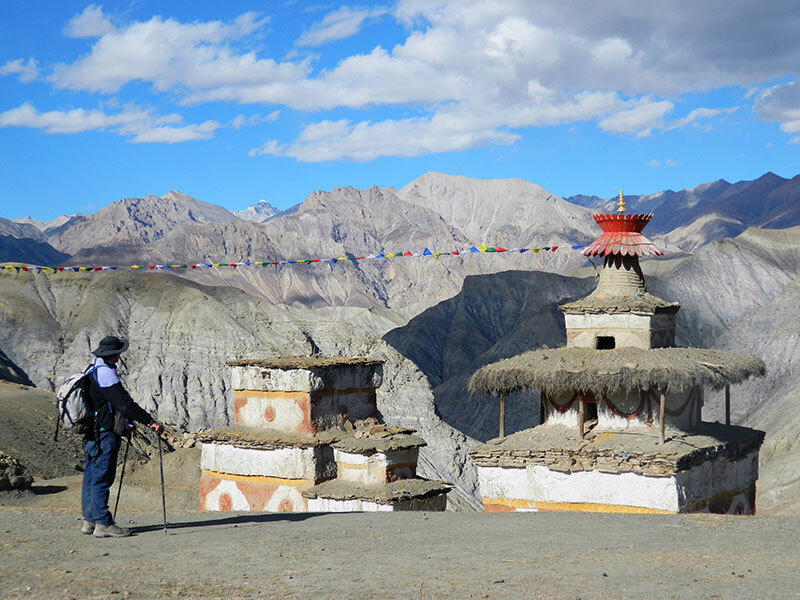 Both the Jumla fiefdom to the west, and the Lo kingdom of Upper Mustang to the east, have influenced and ruled this arid, windswept land in the past. Today Dolpo is firmly linked to Nepal, enabling its long-lost horizons to be explored from the south. Trekkers can contemplate a number of exciting options across the region; some areas are relatively easy to enjoy; others may need more effort but all are sensational and rewarding. For a short 10-day visit, one may choose to trek from Dunai to the superb turquoise Phoksundo Lake near Ringmo. A mystical Bon Gompa overlooks the sparkling lake, where sheer cliffs hem in this jewel of Lower Dolpo. Add a few days to the itinerary and you can cross the Kagmara La pass and head out to Jumla and Rara Lake. The full Lower Dolpo Circuit trail, taking two weeks, visits such attractions as Tarakot, a trading centre, and Dho Tarap with its cluster of exotic monasteries, then crosses two high passes over 5000m to reach Phoksundo Lake. Upper Dolpo reserves its charms for a three-week-long expedition. From Phoksundo the notorious Kang La (Nagdalo) pass is a formidable obstacle to cross before trekkers reach the fabled Shey Gompa. Beyond are the brooding canyons of the sheer-sided Tartang Khola and the Bon Gompa at Samling near Bhijer. Across the Neng La pass is picturesque Saldang and, to its north, the oldest monastery of Dolpo at Yangtsher. The fairytale setting of the spectacular monastery is one of the least-known highlights in the region. Remote, lost to the world and overlooked is the Panzang valley. The villages are few, like Shimen and Tinje, and yaks graze in solitude on the slopes where sages sought secretive refuges for their meditations. 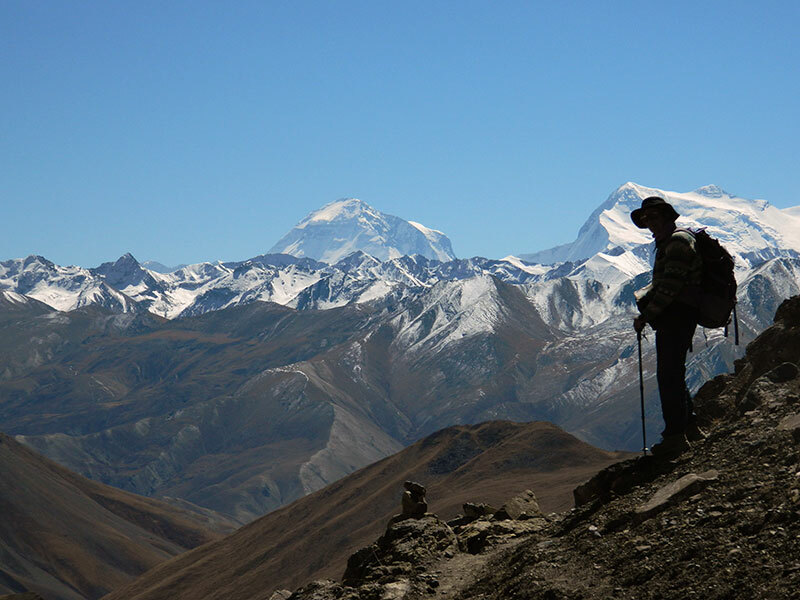 For a really rugged adventure, trekkers can choose to depart from Dolpo via Chharka Bhot to the east. 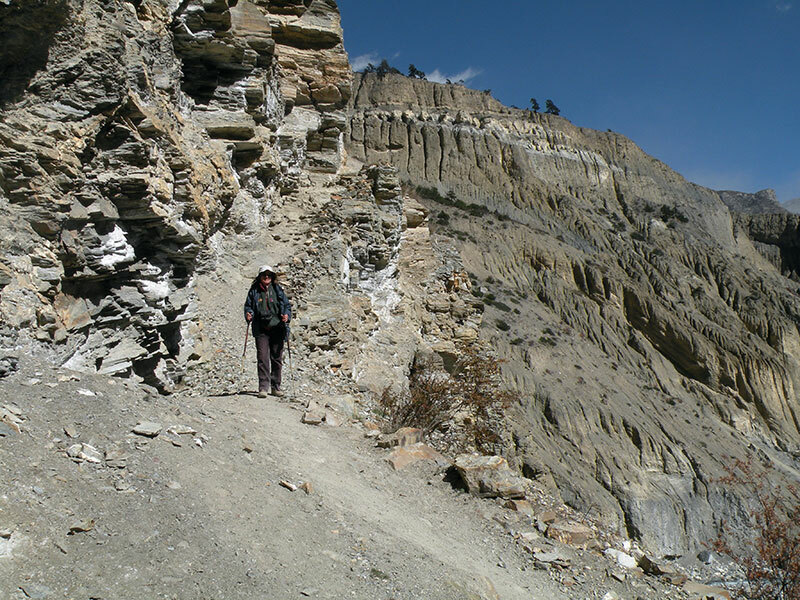 A high and wild trail climbs through eerie defiles and over the Jungben La (5550m) before a tremendous knee-jerking drop to the Kali Gandaki valley and Jomsom. Sian Pritchard-Jones and Bob Gibbons in Dolpo. With so many trails and attractions, it can hardly be long before Dolpo is put firmly on the list of top trekking destinations across Nepal and even the world. For detailed maps of Nepal and trekking guidebooks, visit Himalayan Map House. 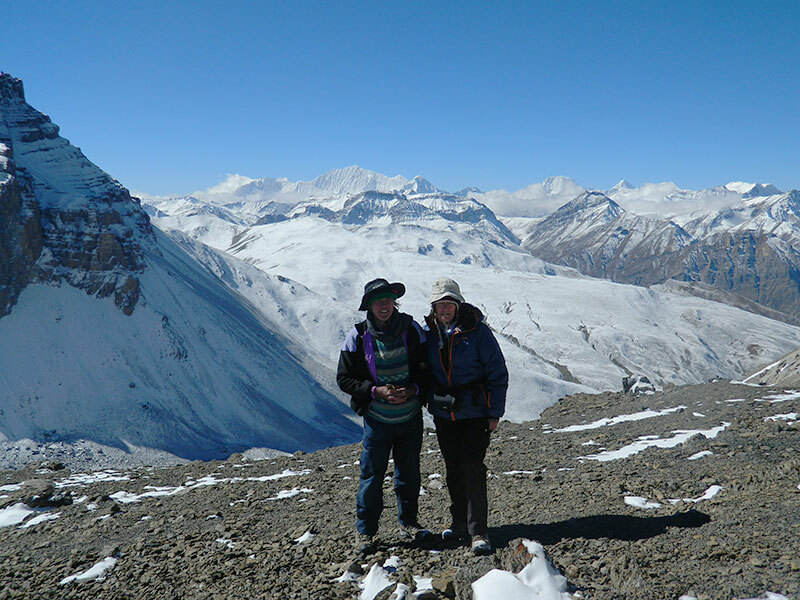 Siân Pritchard-Jones and Bob Gibbons met in 1983, on a trek from Kashmir to Ladakh. By then Bob had already driven an ancient Land Rover from England to Kathmandu in 1974 and led overland trips across Asia, Africa and South America as well as decrepit old tourist buses around India. He had also lived in Kathmandu as a trekking company manager. Before they met, Siân had worked in computer programming and systems analysis, but her heart had always been in the Himalayas, after a trip there on her way back from working in New Zealand. Sian and Bob run a travel company called Expedition World. thanks for there post. i have a question: are there any technical pass from jomsom to dhotarap?